You are a cruel man coppice...but I can coppit! Saw a nice 330GTC in my local garage the other day...noice!! Just bought a 2008 Honda Civic Type R (Euro FN2). 138.000 km on the meter, Milano Red colour, no dents and a good service history. Though oil change interval has been too long for my taste, every 20 thousand kilometres. I'm gonna do every 10k. HSV Senator Signature. 6.2 litre Supercharged LSA Engine. Tuned to 700hp. Smooth, quiet(ish) but when you want to go, it goes. Such a great shame they won't be building them anymore after this year. 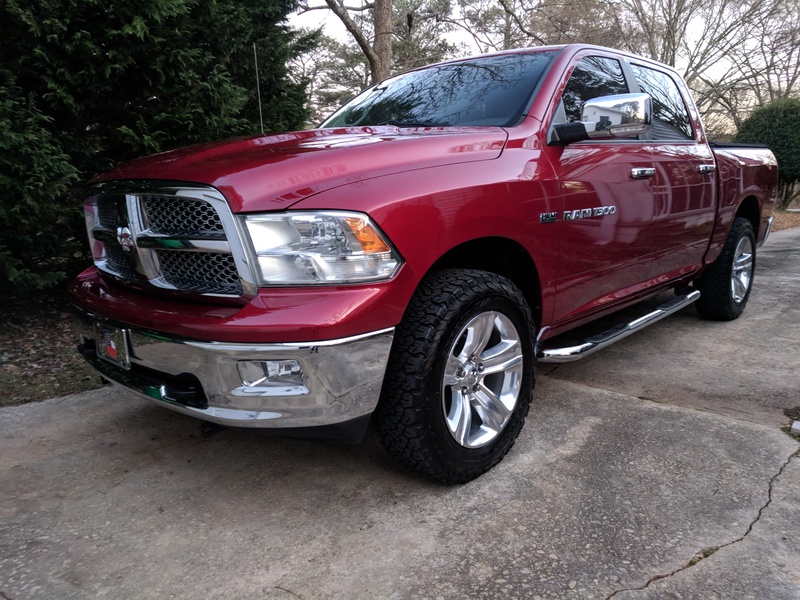 I picked up this 2011 Dodge Ram 1500 Laramie Crew Cab 4x4 a couple of weeks ago. So far, it's freakin fantastic. 7 year update, I turned a 100k miles this week and still all smiles. Just put a new set of polished factory 5 spokes on. Still looks good. Hyundai Tuscon Here, it's practical, sports enough and not to large. As of today, metallic blue 2017 Chevrolet Cruze. My first new car - two model years old, but never sold, never rented, just test driven. Steal of a deal with the 2019s beginning to hit the dealerships(dealership owner said the first batch of 2019s arrives next week). I was tempted by the 2016 Camaro V6, but I needed something I wouldn't feel bad about using up until it's dead. I have an Estoril Blue BMW 125i. And I love it. Taking one for the team, huh? Congrats on your first new car, FF! It doesn't happen often and is a great feeling. That's a very underrated car you have there too. Enjoy! And why wouldn't you, that's a neat car. Coupe or 5 door? Oops I didn't know that was a thing. In my defense and as you would expect, we didn't get either hatch. Long shot... anyone on here any experience of running the J series Vauxhall/ Opel Astra (that's the model before the current one with the 3 door GTC based on it)? I have not, but I had a friend who owned one. They are good cars if you buy an unmodded version. There are many poorly done aftermarket mods added by previous owners on the cheap. He had many many issues with those. The stock car however, was fine.